Microsoft has developed the Windows 10 not as an operating system version, but as a service. Unlike the previous versions of Windows, the latest Windows 10 has a lot more than what we have seen so far from Microsoft. Desktop Management is one feature that has been widely appreciated. You can use multiple desktops. If you are not satisfied with what Windows 10 offers by default as part of its desktop management, you can use Windows Launchers to personalize the experience. There are several launchers available for Windows 10. We will list the top 5 Windows 10 launchers based on our experience with them. Please note that this need not be treated as the exhaustive list. We have compiled this list after picking a few representative Windows Launchers from among a host of them. If you have used Mac OS X, you should be aware of the stacks functionality available on it. 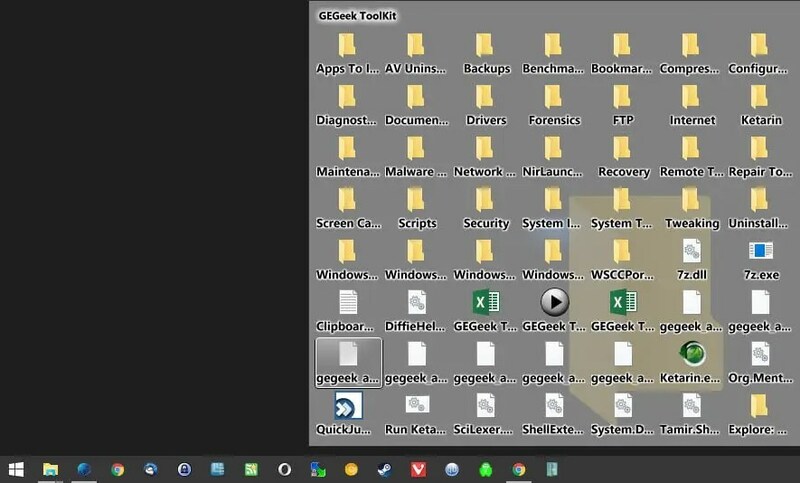 You can use the launcher to stack the files, folders, and files on your taskbar. You can create a new stack and then add up folders and files on to it. The maximum number of folders you can add would be 10 on each of the stacks. This can be helpful to keep your desktop cleaner. The launcher would serve a useful purpose when you are about to use a lot of folders while at work, but do not want to keep all of them on your desktop. A Windows Launcher for a cleaner desktop, you can get it from this link. The appetizer is yet another open source Windows Launcher available for Windows 10. A simply designed, yet powerfully functional launcher, you can Appetizer from the official link. The easy to use Windows launcher helps to access your favorite files and folders a breezy affair. You will definitely fall in love with its unusually stranger look. The launcher has an appearance that looks much like a calculator. It does not scan your system for the installed apps and tools. You would need to add them up manually. Just like 7Stacks, WinLaunch another imitation of the Apple interface. Based loosely on Mac OS X launcher, you can lay your hands on it from this link. The launcher stays minimised until you activate it. Just use the Shift+Tab keyboard shortcut to activate it. Launch the launcher and then pin your apps and folders to it. When you activate the launcher, you will find it popping up while the desktop icons are hidden and the background gets blurred. WinLaunch Windows Launcher allows you to to create groups. Just drag and drop the icons one over the other and you have created a group with ease. You can further customise the group by renaming it if you want. Windows 10 fans will definitely swear by it. RocketDock is one of the popular Windows Launchers available for Windows 10. 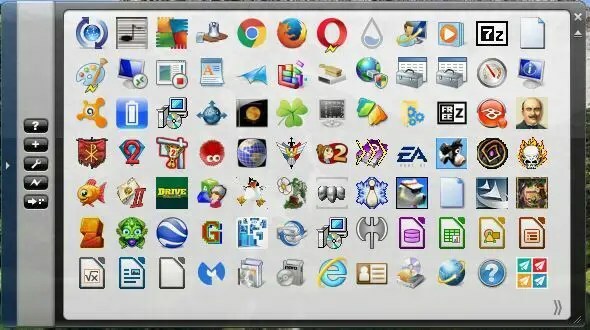 The launcher has been around since the days of Windows XP. Yet again, the Launcher resembles Mac OS X design. 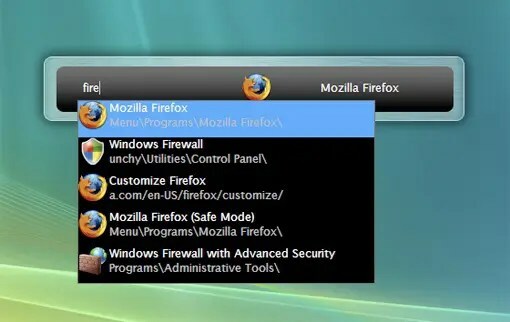 The launcher or the launch bar rather would let you access all your files and folders with ease. RocketDock offers you a lot of customization options to suit your requirements. You can go on adding the files and folders to your launchers through a few simple clicks. If you want saving space on your desktop, this is the best option you can go with. 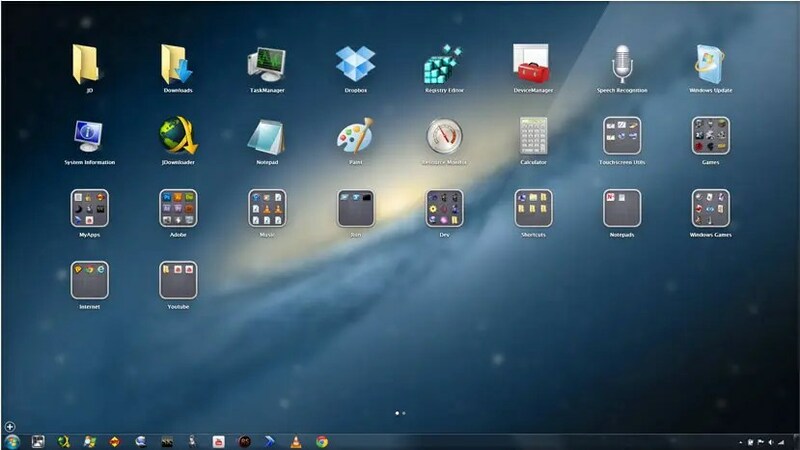 If your desktop has a cluttered look, RocketDock will help you clean up space. You can customise the desktop by adding icon packs, add-ons and a collection of skins. Get it from RocketDock site. The executor is a simple to use App Launcher for your Windows 10. It lets you access any of your installed app or file simply by typing in its name. Executor Windows launcher rests on your taskbar. You only need to click on it and type in the name of the app you want to access, and the app opens up instantly. It indexes all the programs and apps installed on your system as soon as you install Executor. Even with such a huge functionality, the launcher does not occupy much space on your computer. You can assign a keyword or a short name to your apps and files so that you do not need to enter the full application name to get it launch through Executor. Apart from the apps and folders, Executor can also open your URLs with a simple click. There are several tasks you can perform using the keywords option on Executor. Whether you want to shut down or restart your computer, find your IP addresses or whatever that come to your mind – the launcher offers to do for you. Complete automation, a sort of – right? If you are interested, get it from the official Executor link. That would conclude our top 5 picks for the best Windows Launchers you can use with your Windows 10. Each of these launchers has a unique feature of its own. That can be a relief for most of you if you are not happy with a few of the default Windows features. We know there are many of you who do not like the way Windows 10 is made. If you are one of them, we are sure one of these Windows launchers would be helpful to you in getting what you want. These launchers will indeed bring in some freshness. Do try and share your views with us.